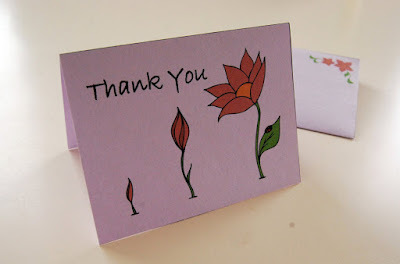 A simple spring themed thank you card and envelope for this month's printable. There's always a need for a thank you card. Printable on any kind of 8.5x11 size sheet of paper. Download them here. The card and envelope are pretty easy and straight forward to assemble, but if there are any problems or questions feel free to contact me.